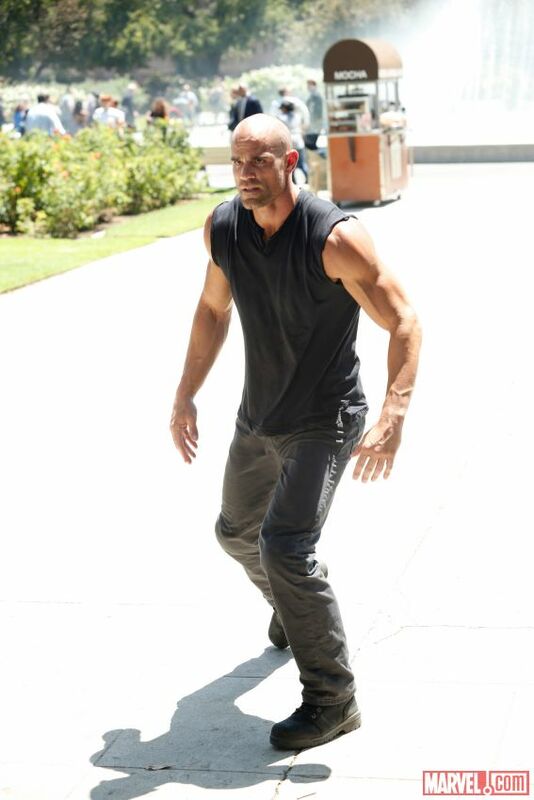 Marvel have announced that Brian Patrick Wade (Generation Kill, Teenwolf, NCIS) will appear in the opening episode of Agents of S.H.I.E.L.D.’s second season as Carl “Crusher” Creel, who is better known as the Absorbing Man. Creel is one of Marvel Comics oldest existing villains. He first appeared in Journey Into Mystery #114 in March 1965 and is the creation of Stan Lee and Jack Kirby. Little more than a common criminal, he gained the ability to mimic the properties of any matter or energy via physical contact after Loki laced his drinking water from the prison commissary with a potion. Wade adds to a long list of actors confirmed to appear in the second season of the show. He joins Adrianne Palicki (Bobbi Morse/Mockingbird), Lucy Lawless (Agent Isabelle Hartley), Reed Diamond (Daniel Whitehall), Nick Blood (Lance Hunter), Henry Simmons (Alphonso “Mack” Mackenzie), and Kyle MacLachlan (Skye’s father). It looks like the Agents of S.H.I.E.L.D. will have their hands full when the show returns at 9pm September 23 on ABC.